Media Kit | Promotions | Subscribe Now! In the "Fitness - Daily Workout for Moms with Donovan Greer" video, Texas Parenting Magazine Fitness Expert and Former NFL Star Donovan Greer shows moms how to stay fit with just 20 minutes of exercise a few days a week. Donovan's core routine consists of a combination of alternating dumbell rows, dumbbell squat jumps, push-ups, squat curl press, and walking planks. 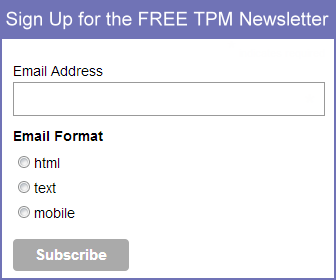 Consistent with Texas Parenting Magazine's mission of creating a fully integrated print and virtual environment, including our web store, webinars, digital issue, applications, and chatrooms, TPM offers video extenions to stories where appropiate. Video segments are used to compliment stories, typically features, exercise, beauty, and public policy stories, which cannot fully be communicated in print form. All Texas Parenting Magazine videos, both current and archived, are available on the magazine's YouTube channel and VIMEO channel. If you have a suggestion for a video extension or feature, please communicate it to us at editorial@texasparentingmagazine.com.